South Korea and the United States held another round of negotiations in Seoul on sharing the cost of maintaining American troops here amid their beefed-up cooperation over North Korea's denuclearization. The allies opened the fourth session of the 10th Special Measures Agreement talks at the Korean National Diplomatic Academy building in southern Seoul. It will continue through Wednesday. 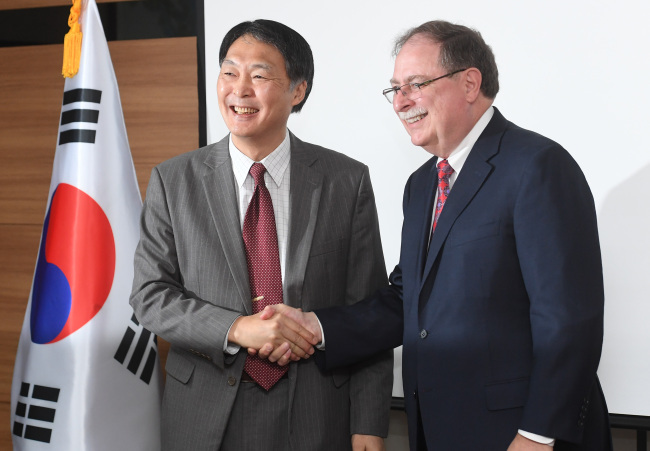 At the start of the talks, Seoul's chief negotiator Chang Won-sam and his US counterpart Timothy Betts voiced hopes for fruitful talks that would help strengthen the longstanding security alliance. "I understand that through the last three rounds of talks, the two sides have sufficiently grasped each other's positions," Chang said. "I hope that from this meeting onward, we can make substantive progress under the spirits of mutual understanding and respect," he added. Betts also expressed his hope for "productive" consultations. "Our alliance remains the linchpin of regional stability and security with the benefit of both our people and in a world where there's a lot of uncertainties," he said. "The Special Measures Agreement remains central to the health and vitality of the alliance. So the importance of our work doesn't change even if the situation around us does," he added. Later in the day, South Korea's foreign ministry reiterated that the two sides' negotiations are based on "mutual trust and the shared understanding of the importance of the alliance." "The government's position is that it will continue to shoulder its fair share of the cost at a reasonable level to ensure the stable stationing of the US forces in Korea that have played a pivotal role for peace and stability on the Korean Peninsula and in Northeast Asia," ministry spokesman Noh Kyu-duk told reporters. The previous meetings took place in Honolulu in March, on Jeju Island in April and in Washington, DC, last month. The two sides have apparently struggled to narrow differences over the suitable size of Seoul's financial contribution. Also drawing attention is whether the recent decision to suspend combined military drills will affect the negotiations. 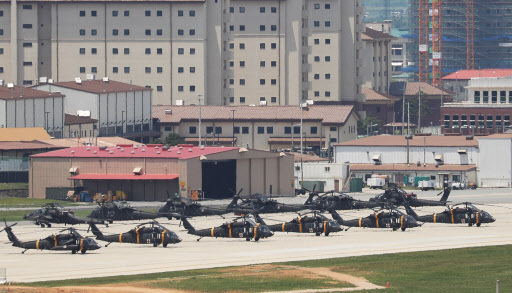 Washington reportedly demands that Seoul cover the cost for deploying US strategic assets to the peninsula during exercises. The existing SMA deal is scheduled to expire at the end of this year. South Korea has shared the financial burden for US Forces Korea, currently composed of around 28,500 service members, since the early 1990s. Seoul's share has increased to around 960 billion won ($861 million) in 2018 under the latest five-year accord from 150 billion won in 1991, officials said.